We provide high grade Forwarding Services, thus providing maximum satisfaction to our clients. Knowing the importance of on time delivery, we make sure the consignments are delivered in the stipulated time frame. We also offer comprehensive international and national freight services. We have a well connected network of trusted agents located in strategic markets. We hold expertise in providing services of Loaded Truck Service, which are extensively utilized by many industries for the transportation of goods. With our efficient and reliable services, we are also capable to undertake the transportation of commodities including raw material, semi-finished and finished goods in bulk quantity. 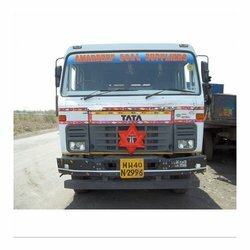 We are also offering Coal Logistic Service to our most reliable customers which are situated all round the nation. We offer this Coal Logistic Service at very affordable prices. The APSEZ Ports are equipped with adequate infrastructure to handle coal at all its locations except Ennore and Vizingam as these are dedicated container terminals. It is an integrated part of Coal Logistics and helps to attain quality. In keeping with FIFO, it is also an active fire management tool and helps to achieve low combustion in this stockyard. We deploy equipments like Heavy duty Dozers, Pay Loaders as well as settled labour to achieve the same. Prime SMS Logistics Pvt. Ltd.